My name is Desiree Taylor. I am a wife to a wonderful man, a mom to two boys Kyle and David. My heart is to share my life and heart in a transparent way to show you how my relationship with Jesus Christ has transformed me from the inside out. I pray my story and writing that you find at my blog; http://www.arenewedcreation.com, causes you to seek God more and draw closer to Him, in a way that brings transformation and freedom to your life. Thank You Desiree for sharing your story today!!! I don’t really remember or how it began. I just remember seeing my mom, weary and almost incoherent, standing next to my dad who looked concerned and burdened. My mom was struggling with depression so severe she needed to go to the hospital for a little while. I remember my dad coming home from a long days work feeding us and getting in the car to go visit my mom. After the fourth time of being in the hospital, my heart began to get really angry and resentful. It seemed as though all her problems were our fault according to the counselor. I felt she should have some responsibility too. I couldn’t understand why she didn’t try harder or so something to make herself better. I was a teenager then. As I got older and went through my own life experiences, I noticed that I was beginning to struggle with depression myself. It would come on so strongly and cause me to turn into someone I didn’t even recognize. I seemed to struggle more during my menstrual cycles and while I was pregnant. I am deaf and that brought it’s own struggles with feeling lonely and isolated. I began to realize that it was harder than I thought. Many times the depression overcame me instead of me overcoming the depression. I began to pray and ask God to help me with it. It was so oppressing and I didn’t want to be the person I became when I was struggling with the depression. We had just began to go to a new church and up until then I had not made many friends. I decided to put myself out there and go to different events. I needed to get out of the house more and make some friends. I was beginning to notice that certain foods I was eating also affected me in different ways. I began to pay more attention to my body’s reaction and responses to different foods and situations. I made changes as I recognized any negative effects. The key to the victories I have experienced in my struggle with depression has been to deal with any past experiences that have left shame, regret, fear, or bitterness and anger sitting in my heart. Past hurts and pains are a breeding ground for depression. Reliving past events, circumstances, and situations in our minds causes us to go back to that place of defeat. I have learned to recognize the signs that I am in a place where I could be depressed. Thought patterns, eating patterns, isolating myself and pulling away from people. The desire to stay in bed all day or not do anything. These are signs for me that I need to do something different and force myself to get up and get out of my own shell. I will sometimes call someone and ask the how they are. I find listening to others about their struggles helps me because it takes my eyes and thoughts of myself and puts them onto another person. Getting out of the house and putting myself in sunlight and fresh air. It is amazing the difference after being out. I come home with a new perspective. I take extra vitamin D if it is winter or the weather is not good for me to go out. I will look to God’s word, the bible and pull out scriptures that will lift me up out of the pit I am in. I take time to talk to God about the things that are bothering me. I ask Him to search my heart to see if there is any un-forgiveness or things hindering me. It has been amazing how victory has come through doing these things. Depression still falls on me but what is different is how I handle it. I recognize where I am and I am honest about it. I eat well, take my vitamins and take care of myself. I care about others and allow them to share their struggles with me or just hang out with a friend who lifts me up. I get out of the house, even if it is just a little run to the consignment store or to do something fun for myself. This allowing me to come back refreshed. Most importantly I spend time with God in prayer and in HIs word and He fills me with such peace and joy. Struggles will always be there but victory can be experienced. Depression and victory can be found in the same sentence. I pray for all those who struggle with this. I pray that you will find that peace and have your victory. It is possible! 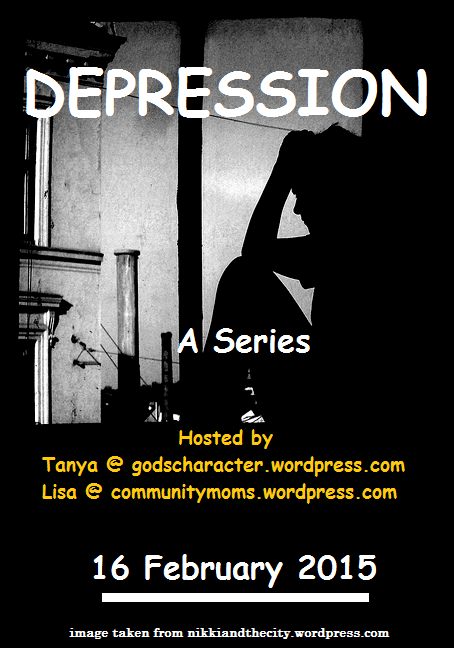 Please join us on Wednesdays for our Depression Series. God’s love is crafted in the words of caring writers who knows what it feels like. And if you have a story that you would like to post about your struggle with depression please email me at lisadesign@comcast.net. ← Momma’s Kick Off Your Shoes and Stay For Awhile! 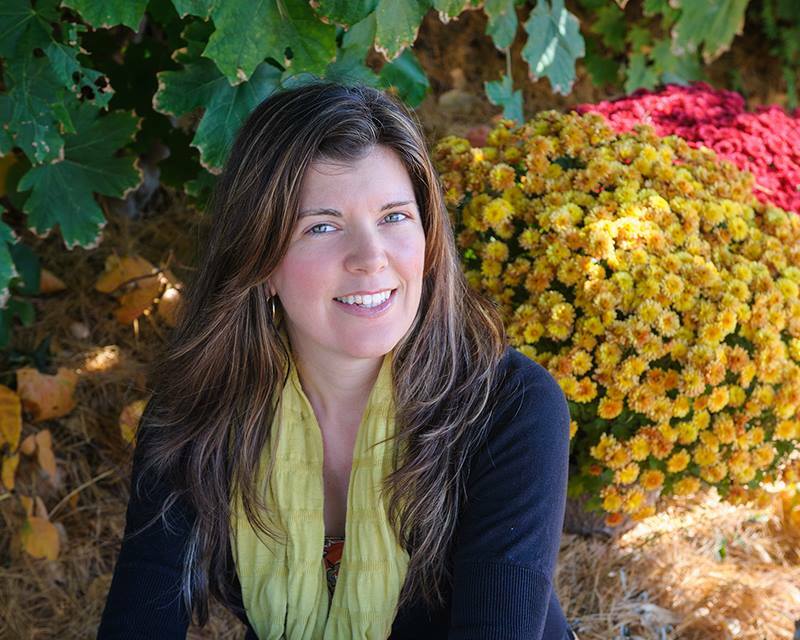 Hi Rebeca, I really appreciate how Desiree gave some ideas on how she deals with it. I know that I will be applying some of her ways to my day to day life as well. I love the Title too. So true and so encouraging. Thanks for coming by and sharing your time and thoughts with us. Thank you for sharing your story. I know your struggle all to well. Just the other day, I was thinking that I needed to get in touch with someone becuaseI was focusing too much on my issues. It really did help. Hi Jenny thank you for being honest. Just to hear someone else struggles too is encouraging. It is amazing how connecting with others helps us. I know I need to stay connected. I spent two hours on the phone the other night with a really good friend of mine. We do a book/Bible study together. Having this time a couple times a month helps both of us share our battles and encourage one another. My heaviness that I sometimes carry seems to always lift after hanging out with her. Thank you so much for your encouraging comments. I love that we can share with one another what God has shown us and be a part of each others victories. If there is anything I have learned, God waste nothing and I am thankful for the opportunity to help and encourage others. Depression is one of those struggles where we feel so defeated many times. My desire is to give people a hope that victory is possible, even when it doesn’t feel like it! Depression does make me feel defeated at times. I don’t have time for it. And your suggestions on how to take care of ourselves really encourages me to do so. I agree it is awesome to share our victories. I may have a yucky day and my victory is when I see God in that mess accepting me and helping me smile. Thanks again for be so willing to share your story. You are helping so many today. Your words resonated strongly with me, Desiree. Especially where you say, “Past hurts and pains are a breeding ground for depression.” This has been so true for me. The times that I have allowed myself to dwell on the hurts from my past have been some of the darkest times of my life. And yet, these hurts cannot be ignored. God longs to redeem our brokenness for good. I guess the difference lies in learning to believe God’s truths, and to stand against the lies of the evil one. My experience has been that it is so very difficult of a journey, but so worth the glorious victories! Hi Kamea, Thanks so much for coming by and encouraging us. It is a rough journey and God does not leave us in the pit forever. He is a gently God and He is also helping me deal with my past. Love having you around Kamea! I look forward to sharing your story this coming up Monday!!!! Thank you so much for your courage in telling your story! I know so many women who could read this and say, ME TOO! Loved your strategies for coping. Thank you for stopping by Ashley!!! The power of a community being able to come together and say, ME TOO! is very encouraging!!! And it does take courage to be real and honest!!! And it feels so good to share a story and be heard by caring people. This community blog is really becoming a place filled with writers who care.. God is so good to us!! !